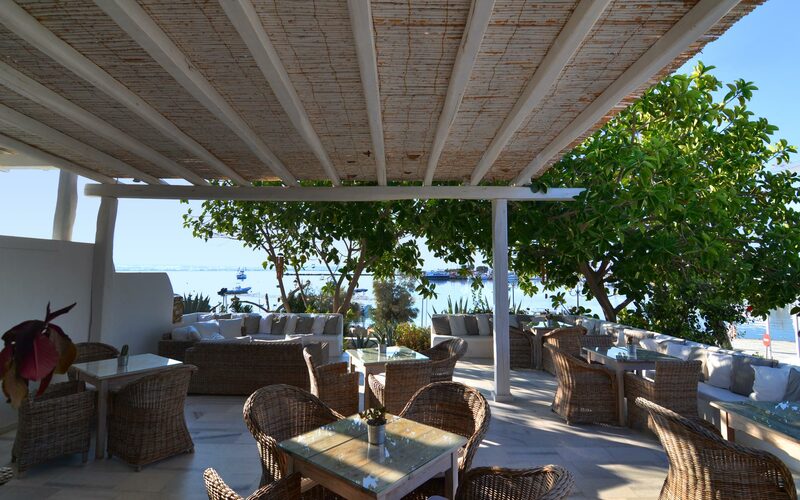 Enjoy a relaxing summer holiday at the fully renovated atmosphere of Artemis Hotel in Antiparos! If you wish to experience rejuvenating summer vacations in Greece, discover Artemis Hotel lying in the beautiful capital of Antiparos, a small island situated at the heart of the Cyclades Islands. 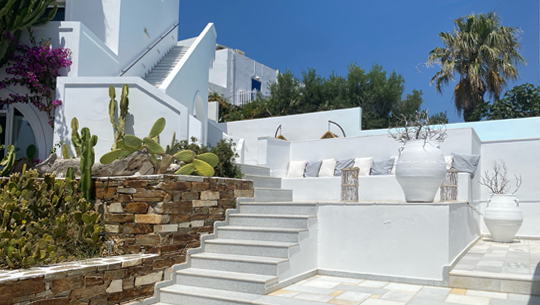 Just renovated and surrounded by a verdant garden this Cycladic style hotel in Antiparos is the ideal scenery to spend your holiday at with family, friends or your significant other. 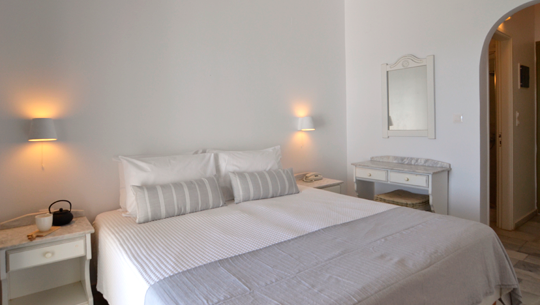 You will be hosted in bright fully-furnished Antiparos hotel apartments, studios and rooms offering spectacular views of the picturesque port and the deep blue Aegean Sea, rendering it one of the most privileged Antiparos hotels. In the warm, family environment of Artemis Hotel in Antiparos you will be taken care of by attentive staff and you will be offered heart-felt hospitality, while you can benefit from a range of organized facilities and high quality services, as well as the hotels close proximity to the beach. 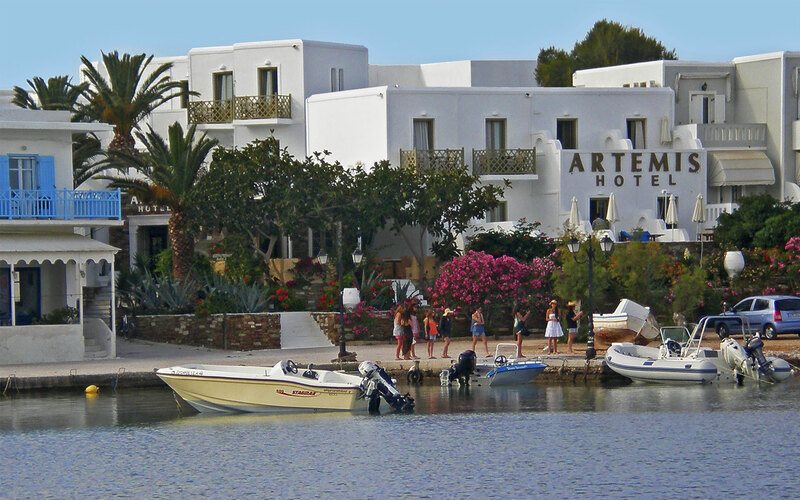 Artemis Hotel Antiparos Greece belongs to the 2-star Antiparos Hotels and operates from April 1st to October 10th . Antiparos is a small Cycladic Island located opposite the well-known island of Paros. 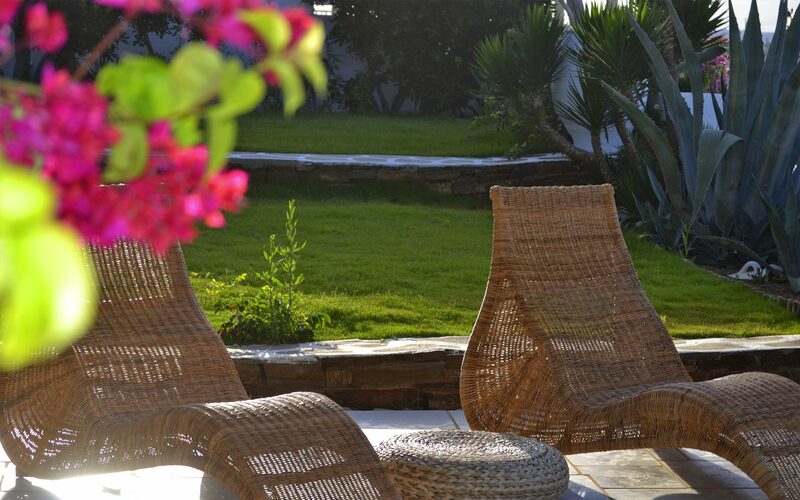 In the past years, Antiparos has become very popular with people who wish to spend their holidays close to nature.  Antiparos also possesses all the typical Cycladic features, such as picturesque alleyways, whitewashed houses and quaint churches, as well as stunning beaches and crystal clear waters, making it the ideal destination for all types of tourists.